and give back to our community. Be inspired – Our space is designed to change the way you work and think. Arendo Coworking's conducive working spaces will definitely bring your productivity to indefinite heights. Be stimulated - The private office is mainly intended for teams who would like to have their own customized private space where brainstorming and actual business is done. Welcome to Arendo Coworking – your place to work. Where you’ll watch businesses grow because of people and ideas. Where you’ll surround yourself with those who love what they do. Where nothing beats a mental block like a really great cup of coffee. Negros born and bred, Arendo Coworking was built on the idea that success fosters more success. That’s why we’ve cultivated a community of members who are thinkers, achievers and imaginers. We’ve built workspaces that suit your every need. Our energetic staff will ensure your needs are met, so you can focus on your next big idea. 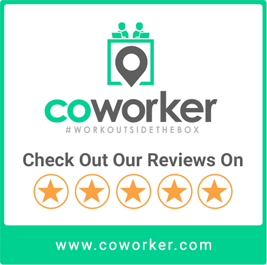 We have created the best coworking spaces in Bacolod for students, freelancers, companies, startups and all the working nomads, so that you have a hassle-free resource from which to find conducive and inspiring workspaces. We have tailored the space to help you to create, connect, and work on your craft. Following the rise of the sharing economy, we believe that flexibility and collaboration will disrupt the traditional way we work. This paves the way for coworking, forging an active community of forward-thinking companies, innovative startups, and self-employed freelancers, who can innovate and grow together. With coworking gaining traction, we envision a world where businesses no longer operate within their own insular sphere. The future of work is fluid, as we move towards greater freedom and mobility. Disrupting the conventional work culture in Philippines, however, takes a collective effort. Join Arendo Coworking to make coworking the new norm. This happened last night at Arendo Coworking Space’s first ever Tuesday Social! We met an amazing community of folks who love nerding out about productivity! We’re looking forward to having more events like this! © 2017 Arendo. All Rights Reserved.